To view an online version of the Day Two paper, click here! It’s all very well to take the moral high ground when you are able to. In the discussion of discrimination in judicial systems, this point was brought up again and again by several member states: the importance of a strong moral principle against the practical aspects of implementing this principle. The argument of intent as compared to ability was further complicated when the committee continued to explore the context of separate Member States. The Philippines and Togo both pointed out the economic difficulties that come with fighting corruption in the justice systems. While agreeing that the spirit of the resolution was in order, they highlighted the inability of Less Economically Develeoped Countries (LEDC) to agree to the resolution, as they were simply not feasible with the current state of resources of their Member States. They brought to attention the nature of the UN, which is to be secular and western, and therefore unsympathetic towards the plights of countries who are not. Cultural and social differences between the Member States were also highlighted during this debate. The delegate from Egypt pointed out the infeasibility of ratifying clauses in this resolution in problems other than economic, pointing out the inability of their Member State to supply the proposed pool of judges to a 10 per cent margin representative of the gender and ethnicity in their own state. Paraguay responded to this by proposing the margin be raised by 25 per cent. Perhaps the inability to adhere to the original proposition implies not a problem with the running of the justice system, but of social and cultural barriers which prevent or discourage females and ethnic minorities from entering the legal profession. The Philippines discussed the idea of a binding convention, as no resolution is compulsory for separate member states to ratify. They pointed out how a resolution will always have an impact, and often form the foundation for discourse. The myth that signed resolutions from the UN has no real impact on the separate Member States was quickly and deftly debunked. 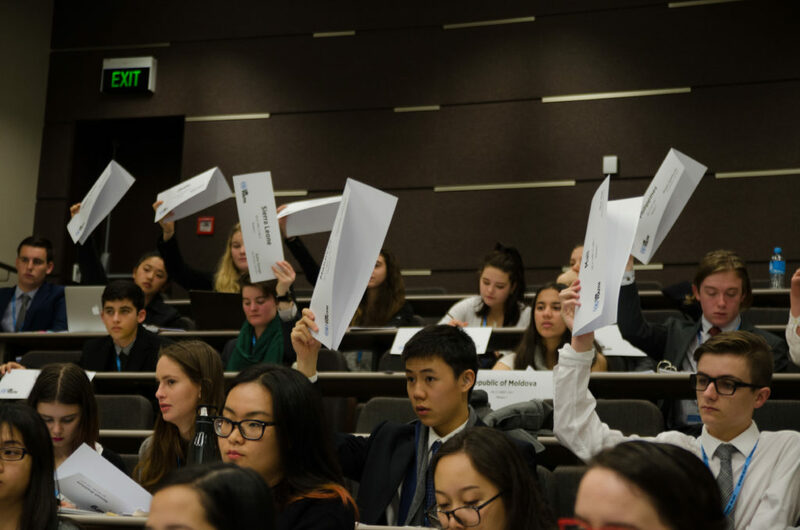 Disappointingly, the delegate also pointed out the danger of the slippery slope of further resolutions that may be based on previous ones passed – a fallible argument which weakened the impact of the original statement. The resolution was not passed at the end of the session, and there was an overwhelming consensus of dissatisfaction with the weakness of the directive words. It serves to highlight the frustration of the slow nature of the action taken by the UN or even the lack of [action taken]. Perhaps we all must be reminded of the differences of each Member State – whether this is in ability or belief, and the need to negotiate with one another to find common ground.